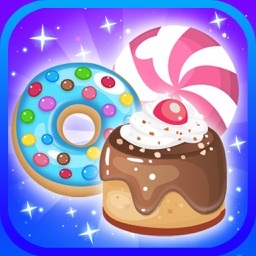 In this colorful puzzle game, your task is connect candies and sweets which have been placed on square grids. 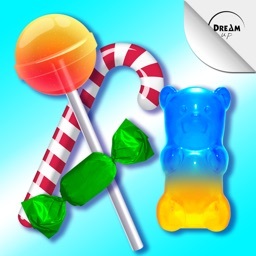 Draw lines to connect all the candies of the same color and of the same shape. 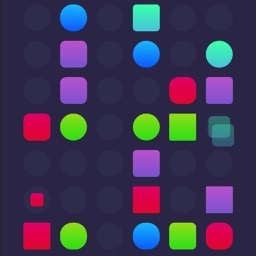 Fill all the grid squares with colored-lines and blobs (they look like pipes) to win the game. 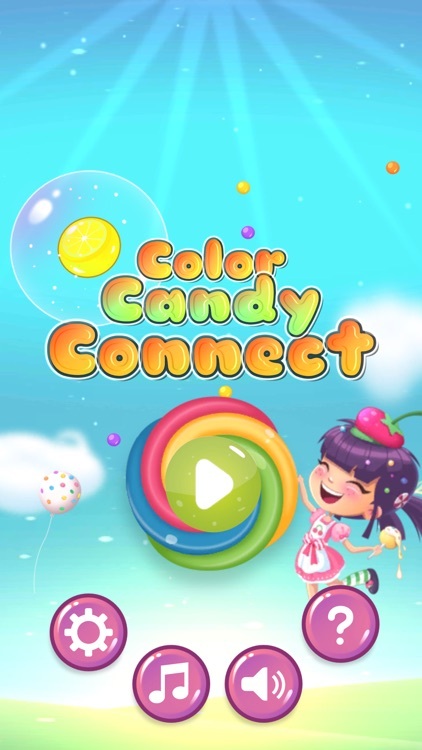 Solve over 200 puzzles and be a candy color-connect game champion. 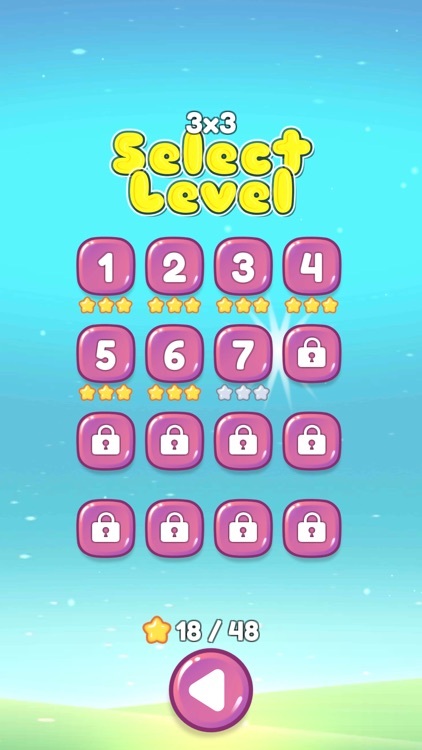 The game comes with several difficulty levels (missions), with each mission containing between 16 to 64 levels. Not all levels have the same grid sizes so you can enjoy variety of challenges. 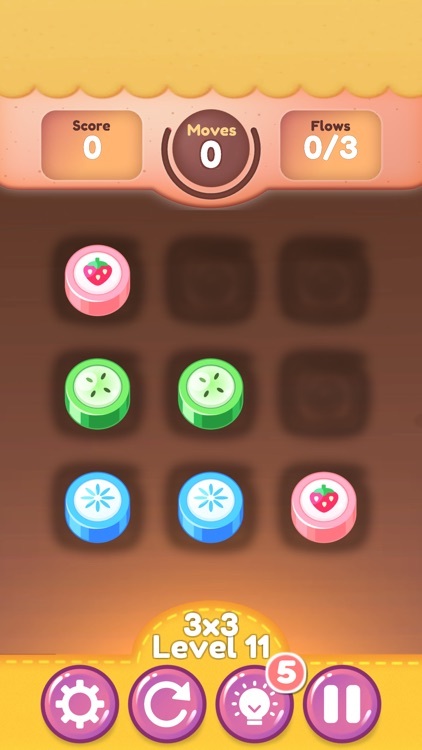 Some levels has more candies to connect and some has less. Some has different color variations and different sets of candy and sweets. 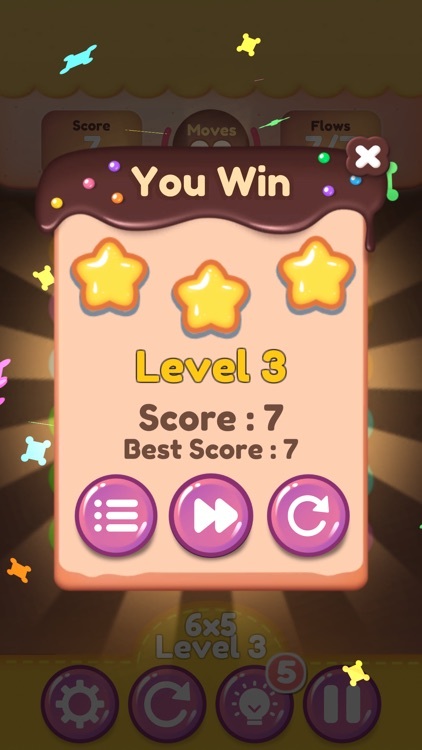 The game interface is simple straightforward and colorful, accompanied by cool sound effects, music and animations. 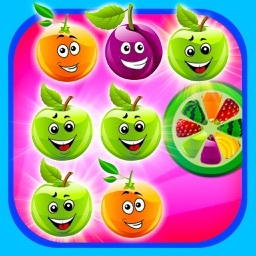 * Colorful, cheerful puzzle game to brighten your days. 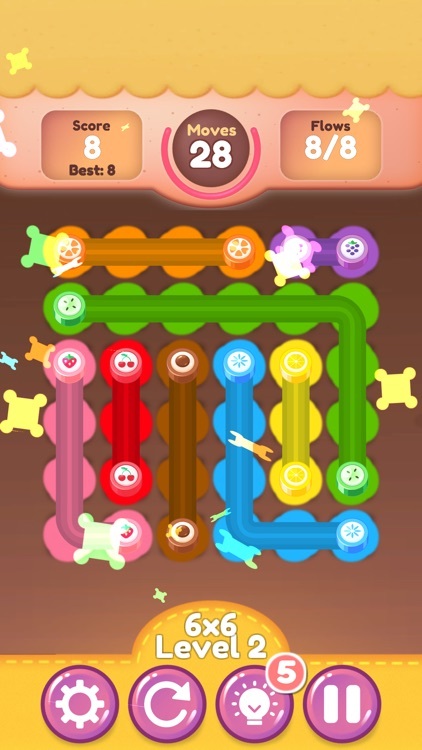 Select a candy, touch the candy and drag along the grids to draw a line to connect to the matching candy. * Game mechanic: one touch/single touch. Tap, swipe and drag. * Number of levels: over 200 total. 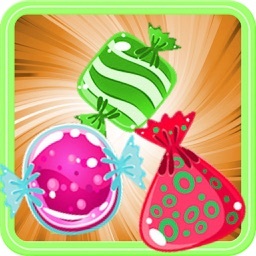 The levels are into 10+ missions with alternating candy themes. 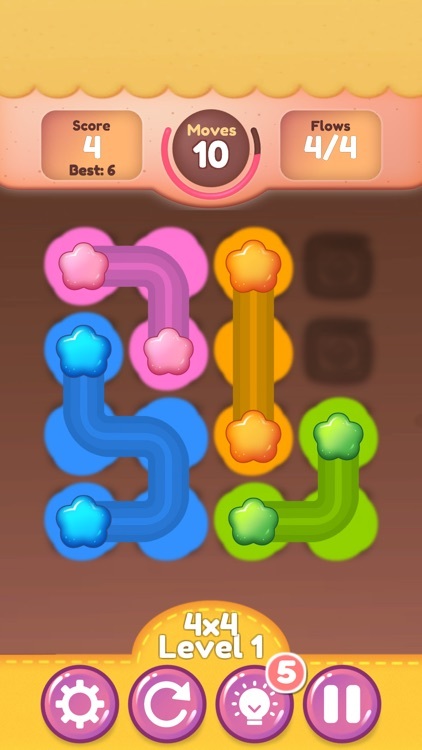 No In App Purchase required to play all the levels. * Overall game difficulty grade: Easy. Simple rules, quick to learn. * Playable on phones (4.7 inches or higher recommended) and tablets. 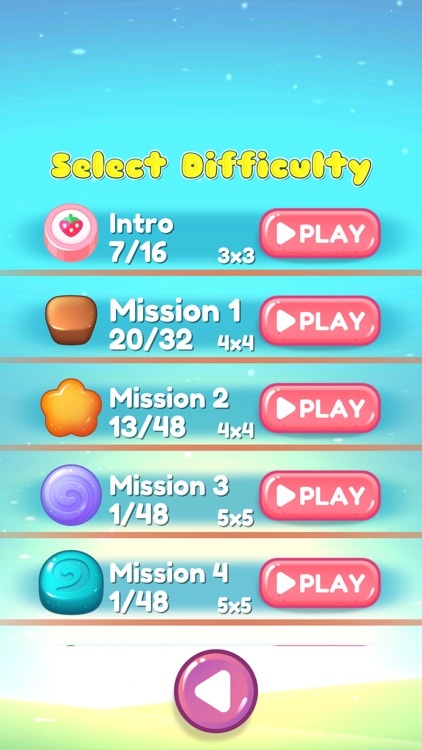 * Features: hint option when stuck on a puzzle; jump between missions (the missions are unlocked although levels have to be played in order); restart as often as you like. The game is designed for casual game players and those who want relaxing and cheerful diversions. 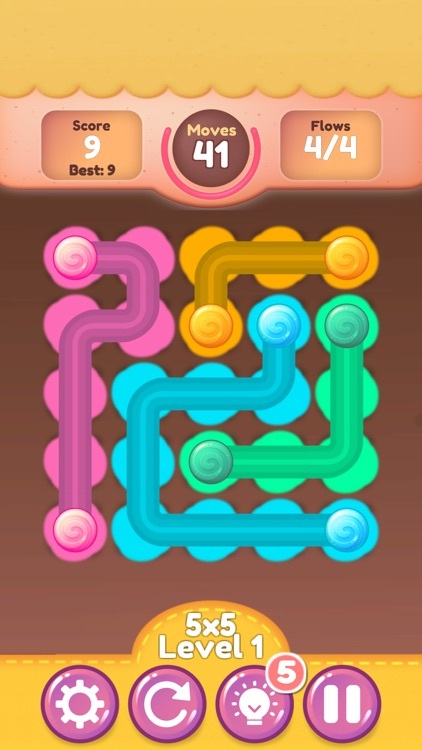 Most of the levels and puzzles aren't too difficult to solve. 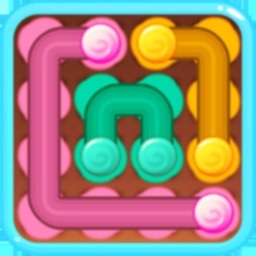 Most levels are short and can be solved in minutes or less. Therefore the app can be played on short duration, during breaks or just to have a relaxing fun time. 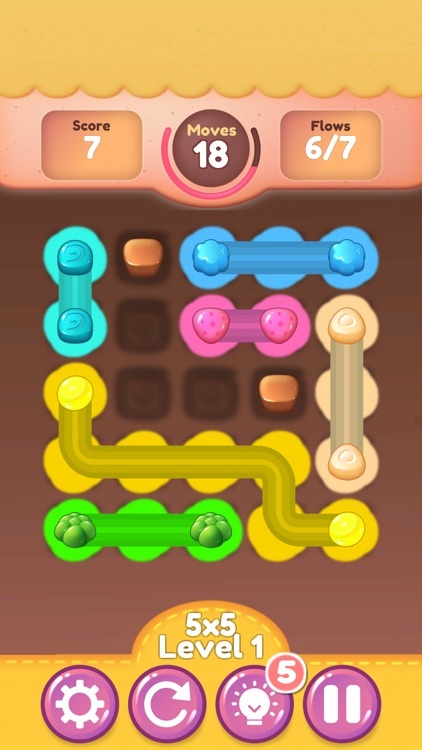 With over 200 levels, there's several hours of entertainment and brain exercises to be had. So enjoy connecting the candies and filling those grids with colors!